As spring comes and summer approaches, the snow melts and the Portes du Soleil is completely transformed. The bright green Alpine pasture is dotted with wild flowers and teeming with bird and wild life. 25 lifts are open in the summer and the Portes du Soleil multipass can give you easy access to the mountains, whether on foot or bike, and also entitles you to use tennis, swimming, sporting facilities at the new amazing sports complex in Morzine and the free bus shuttle service. As summer transforms itself into autumn, and the summer hubbub dies away, the blissfully quiet months of September and October are a magical time to visit the Alps to walk on the peaks and to enjoy the glorious colours of the Alpine autumn valleys. Switzerland is just over the next valley with Geneva and its parks, alleyways, smart boutique shopping and many arts and cultural centres just over an hour away . Picturesque Annecy with its street market is an easy drive as are the spar towns of Evian, Thonon and Montreux . Italy is about an hours’ drive- with easy access to Lakes Garda and Como, the opera at Verona and even Venice. The hiking and walking here is absolutely breathtaking with over 340 kms of marked paths from gentle walks to strenuous climbs and with incredible views over the mountains to the glacier on Mont Blanc one way and to Lake Geneva the other. You can hire a mountain guide for the day or tackle 3 or 4 day hikes staying overnight in mountain refuges. Late spring and early summer are lovely times to come and walk with the wild flowers in bloom and the peaks still snow- capped, although perhaps for us eclipsed by total tranquility and peace of early autumn when the Alps empties of its summer visitors, the autumn colours are breathtaking and yet it is still gloriously warm. Spring is a wonderful time to visit the Alps and a great time to birdwatch. We have seen nutcrackers near the house and there are citril finches, rock partridge and rock thrush, wallcreepers, lammergeier, snow finches and alpine accentor in the vicinity. Take a look at www.realbirder.com to whet your appetite. The Portes du Soleil is also probably the best mountain biking ( MTB /VTT) region in the whole of the Alps both for cross country and downhill .The variety of terrain means that it is fantastic for beginners, experts, pro-level downhill and freeriders alike. Guides and instruction are available and bikes are available for hire. Road biking has been popularized by the Tour de France in recent years with Morzine- Avoriaz hosting one of the famous mountain stages in 2016. Many of the local cols ( mountain passes) made famous by the Tour ( Col de Joux Pane, Col de Joux Verte, Col de la Ramaz) are within reach but there are many other less challenging options. 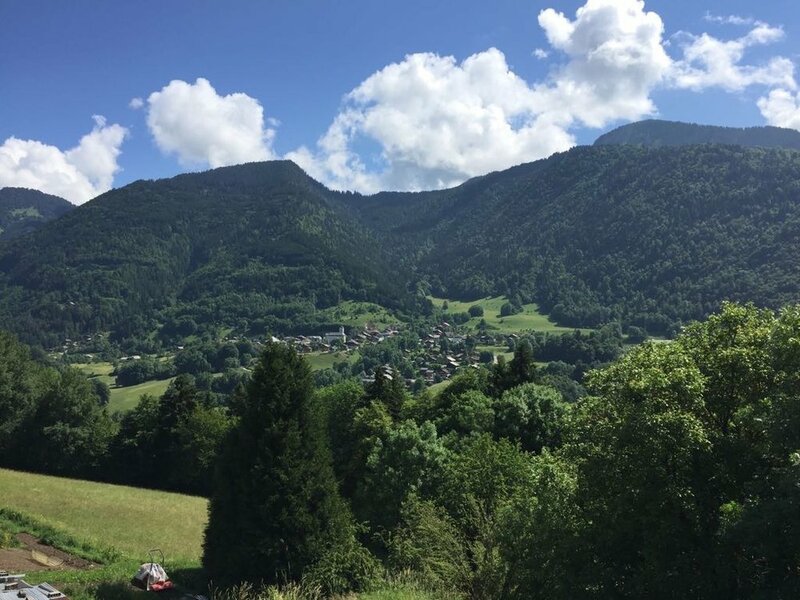 From the house a lovely local climb is over the Col du Corbiers into the Abondance valley. The Tourist Office have produced an excellent guidebook including well known climbs and full and half day circuits. Road biking is lovely in all the summer months although perhaps the most perfect months are June and September when the roads are very quiet and there is often settled warm weather. The golf in Haute-Savoie Alps is spectacular, to suit all abilities and with courses cleverly designed to give you breathtaking views as you tee off. There are two golf courses within 15 minutes’ drive of the house: Morzine- Avoriaz ( 9 hole) designed by Hugues Lambert and located in an area of outstanding natural beauty and Les Gets ( 18 hole) designed by Olivier Dongradi. Three further courses are within an hour’s drive : Flaine les Carroz which at 1500m is one of the highest courses in Europe, Megève, set in a glacial valley near Mont Blanc and Evian, possibly the most beautiful course in Europe. The area is also famous for its mountain climbing and via ferrata with the famous Roc D’Enfer just a few minutes’ drive away with climbs and tuition available for beginners onwards. 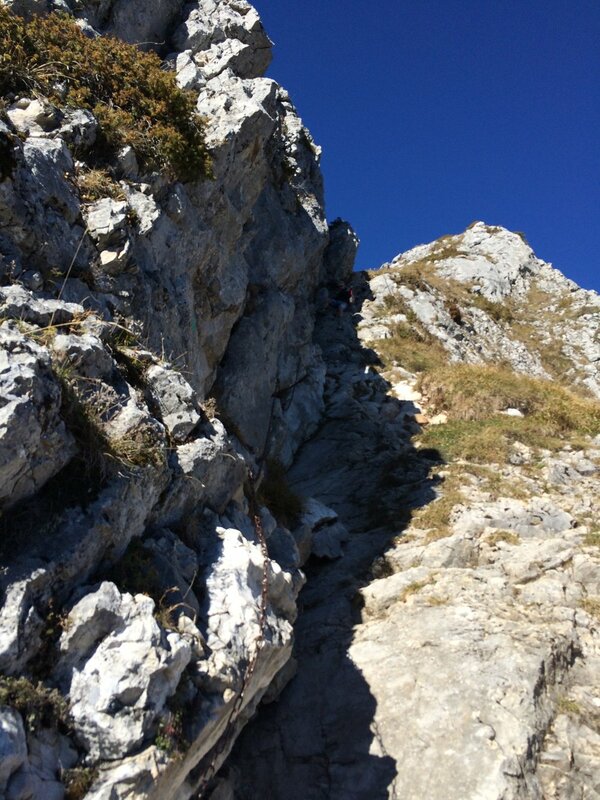 Morzine has routes graded from 3 to 8a ( French grades) and Le Biot ( 5-6b) and le Col du Corbier ( 7b). Adventure park- High in the trees with death slides, rope walks and swings- great for children ( 4 years up) teenagers and adults. Mountain zip wire- The amazing “fantasticable” is a hair-raising zip wire spanning 3 kms from one side of the mountain to the other reaching 100kms/hour and is the only one of its kind in the Alps. Canyoning- Using the river bed as a natural obstacle course, you can plunge, jump and abseil in the refreshing ( i.e. freezing!) water. Wet- suits are available and provided a basic swimming ability anyone over the age of 8 can take part. Equestrian –Full range of horse riding activities and lesson available including trekking in the mountains. Sports facilities- Morzine also boasts fantastic sports facilities including tennis (instruction, racquet hire and open tournaments in the summer), Olympic pool and children’s pools and indoor ice rink. Outdoor water sports including fishing and canoeing at Lake Montriond.